Teresa Casini was born on October 27, 1864 in Frascati, Italy. 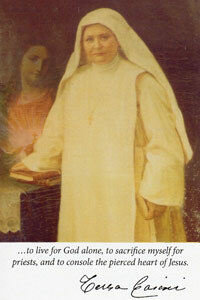 At the age of 18 she began to follow God's call to give herself completely to Jesus by way of the evangelical counsels. On February 2, 1885 she entered the monastery of the "Sepolte Vive" in Rome. In her heart she felt: "I am entering here to learn, but not to stay!" On October 17, 1892 she began to live a common life with two companions at Grottaferrata, Italy. 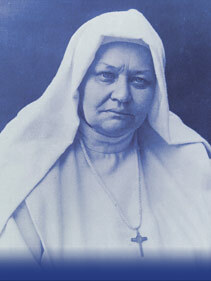 On February 2, 1894 she founded the Institute of the Oblate Sisters of the Sacred Heart of Jesus. It was not until 1925 that Mother Teresa started the special Work of the "Little Friends of Jesus" to promote and cultivate priestly vocations. Subsequently, with sensitive concern, she engaged all her energies in the activities that her maternal heart urged her to undertake for the good of priests. On April 3, 1937 Mother Teresa died at Grottaferrata, Italy and on July 7, 1997 the Church declared her Venerable. For more information see Foundress. "I feel within my soul an impulse which spurs me on to God. I am unable to live a mere earthly life!... 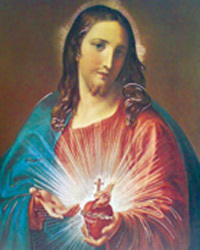 I must raise myself above all worldly things in order to live for God alone, to sacrifice myself for priests, and to console the Pierced Heart of Jesus. Thus fulfilling His desire of love toward me and toward souls." For more information see Spirituality. The Order of the Oblate Sisters is a Pontifical Institute of religious women founded in Italy February 2, 1894 by Blessed Mother Teresa Casini. There are about 300 Sisters serving in the countries of Italy, United States, Brazil, Africa, India and Peru. The Generalate is in Rome and the Motherhouse is in Grottaferrata, Italy. For more information see History.